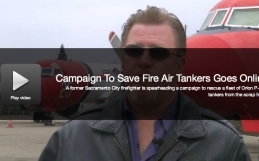 Sacramento, CA (January 20, 2015) – Orion Aerial Firefighters (orionaff.com), a company dedicated to return the P-3 Orion to aerial firefighting service, today announced that it has begun its campaign to restore the P-3 aircraft to firefighting service. 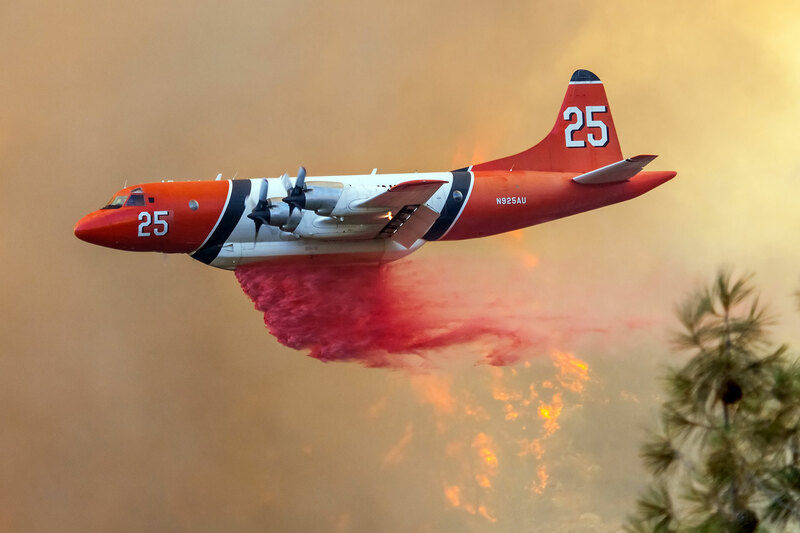 “The US Forest Service has a shortage of large air tankers, which dangerously reduces its firefighting capabilities,” said Dale Head, CEO of Orion Aerial Firefighters. “The P-3 drops in terrain that other aircraft have trouble dealing with,and pilots feel that the maneuverability of a turboprop and the relatively short wingspan allows the P-3 to get to places other airtankers just cannot.” Dale Head has created a detailed discussion of the need for the P-3s in a video posted on the Orion Aerial Firefighter website orionaff.com. In 2011, after 20 years in service as the backbone of the US Forest Service’s large airtanker fleet for fighting wildland fires in the United States, the US Forest Service (USFS) cancelled the contract for six P-3 airtankers due to a dispute between Aero Union, the owner of the P-3 fleet, and the USFS, regarding maintenance practices. At the time, Tom Harbour, director of the Forest Service’s Fire and Aviation Management program, said “Our main priority is protecting and saving lives, and we can’t in good conscience maintain an aviation contract where we feel lives may be put at risk due to inadequate safety practices.” When the negotiations came to an impasse, the USFS terminated the contract for the P-3s, who were in the middle of a firefight in Texas, and the pilots flew these six airworthy aircraft home. Orion Aerial Firefighters (Orion AFF) has assembled a unique team of engineers, maintenance experts and pilots who intend to return these aircraft to aerial fire fighting. Their familiarity with these particular aircraft put Orion AFF in a unique position to return this P-3 fleet to service within a year of funding. Finding sources for this funding has been challenging, so Orion AFF has decided to solicit community support to help it attain its goal. “If every person who was ever threatened by wildfire were to give one dollar, we could easily attain our goal,” added Head. To join others in support of these P-3 critical firefighting airtankers, please go to the P-3 Orion Indiegogo Campaign at igg.me/at/OrionAerial. 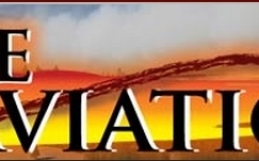 If you have any questions or would like additional information about Orion Aerial Firefighters, please go to orionaff.com or call 844-674-6623 (toll free). Orion Aerial Firefighters (Orion AFF) is a unique team of engineers, maintenance experts and pilots who are passionate and dedicated to provide effective aerial firefighting service in order to protect lives and assets. Through their efforts, a fleet of P-3 Orion large airtankers will return as the critical component of the US Forest Service’s national firefighting fleet.